Be among the first to get SAP S/4HANA certified! Join the SAP expert in this kick-off webinar and learn more about your Journey to the S/4HANA Implementation Certification. 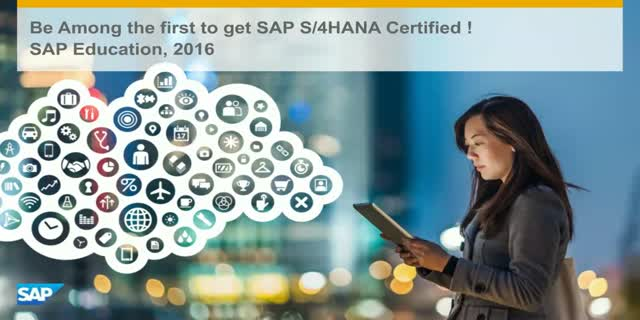 Title: Be among the first to get SAP S/4HANA certified!